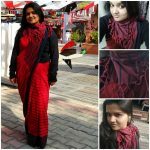 24/100 – Number 24 is a story about the saree as well as the photo. 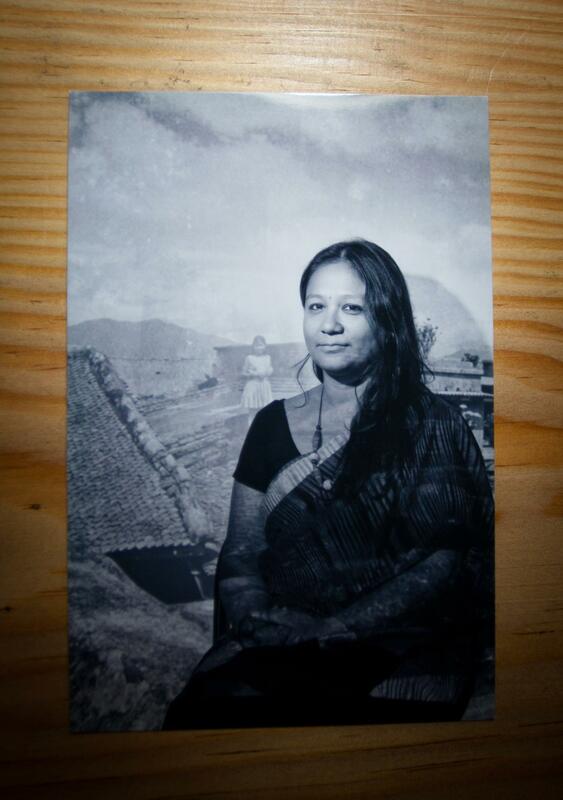 Few days ago I found out that an old photograph of my mother when she was around 12 or 13 years old was part of a huge Photo Kathmandu exhibition around town. I do not remember seeing any photos of her that young so this experience became very surreal for me. Add to that an opportunity to be photographed against the backdrop of a studio set up by BIND and to tell the story of this photograph, I was absolutely happy. The young girl standing on my right shoulder is my mother. She is in a skirt and I am in a saree. She is young, I am older. She looks like me and I look like her. And this cotton ByLoom saree that came all the way from Kolkata via Delhi with my brother, ordered online by my friend Khushbu.